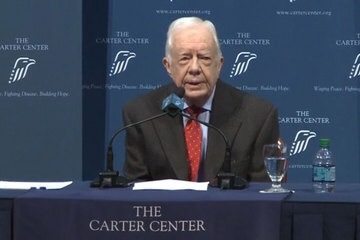 On Thursday, August 20, at a press conference at the Carter Center in Atlanta, former president Jimmy Carter announced that he has advanced, or metastatic, melanoma. Melanoma’s ability to spread, or metastasize, to other parts of the body is what makes it potentially fatal. The term metastatic melanoma, also known as Stage IV melanoma, means that melanoma cells of any kind – cutaneous, mucosal or ocular – have spread through the lymph nodes throughout the body. The liver, lungs, bones and brain are most often affected. A slightly stooped but nimble Mr. Carter, 90-years-old, approached the podium without assist. 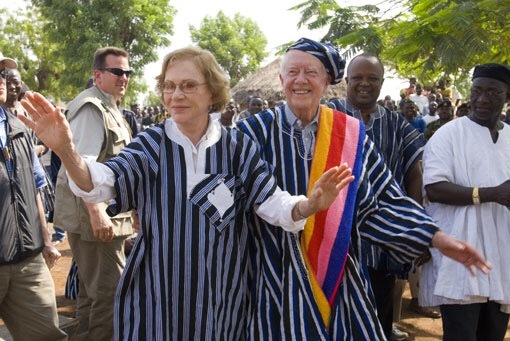 Sharply dressed in a sport jacket, tie, and blue jeans and standing with his wife of 69 years, Rosalynn, Carter explained that the skin cancer has spread to his liver and brain. Surgeons already removed a tumor in his liver, but MRI testing detected four other cancerous tumors in his brain. When I read this news, I immediately thought, “Why is there no mention of where his melanoma originated? Where is the skin lesion?” Reading further, I realize that Carter’s case may be an anomaly. Rarely, as may be the situation with him, early skin melanoma tumors can spontaneously disappear, making them no longer outwardly visible, but still progress, spreading malignancy to other organs. “About 97 or 98 percent of metastatic melanoma which spreads…to another organ is initially from skin,” according to Omeed Memar, a board-certified dermatologist and an assistant professor of clinical dermatology at Northwestern University. Rarely, it originates on a mucous membrane or in the eye. Memar continued, “Sometimes a dark spot becomes white. And on an older person [who might have] many spots, it’s just hard to find.” Carter’s health team isn’t spending much energy trying to locate the cancer’s origin. Experts said that doing so has no bearing on his treatment. The purpose of late-stage melanoma treatment is not curative, as therapy aims to shrink tumor size, extend life, and enhance quality of life. Treament commonly involves two or more types of therapies. 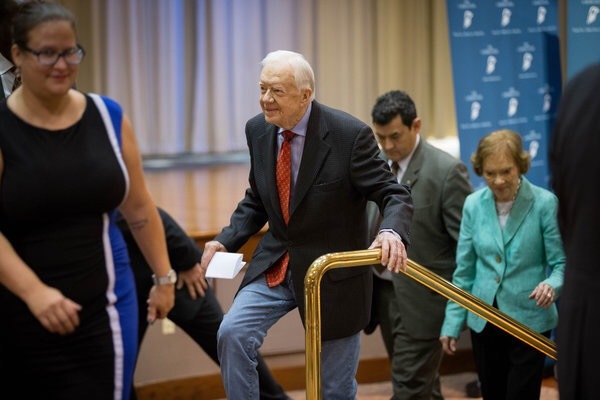 President Carter will be undergoing two cutting edge treatments. The first is targeted radiation to his brain, known as stereotactic radiation, intended to eradicate existing tumors. This newer technology allows clinicians to direct radiation beams at each specific tumor, as opposed to the entire brain. Recuperation is far easier using this technique. Carter has had already had his first of four intravenous infusions (at three-week intervals) of a drug called Keytruda. The FDA accelerated the approval of Keytruda,— known generically as pembrolizumab — in September 2014. Specifically, this drug targets the activity of genes called PD-1 and PD-L1. The interaction between the two genes lets some tumors escape detection and destruction by immune system cells that normally prevent cancer from spreading in the body. In other words, melanoma can “hide” from the immune system by expressing a protein called PD-1, which turns off the immune response. But pembrolizumab allows the immune system to attack the cancer. Cancer experts say that Keytruda has had startling, life-extending effects in a few people. A recent study found that about one-third of melanoma patients treated with pembrolizumab responded to the drug, meaning that these patients experience a meaningful decrease in their tumor size. As a result, some of these patients lived several years after their diagnosis. Before the availability of immunotherapy, the average survival time for someone with metastatic melanoma was around 6 to 10 months. Now, survival times with the newer drugs can be double, or, in some cases, triple, what they used to be. Equally important, Keytruda is more tolerable than its predecessors, and this keeps patients on it. To date, Keytruda seems to have only minor side-effects, such as fatigue and rash. 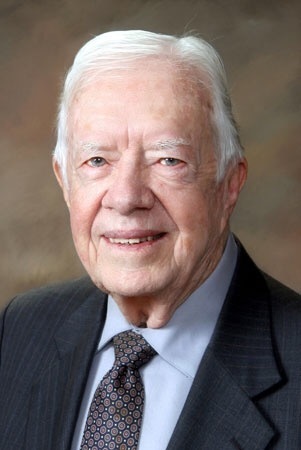 President Carter reported that he only had a “slight reaction” to his first infusion and has had minimal discomfort. Hopefully, his treatment will be successful and increase awareness of not only preventative measures but also the potential of immunotherapy.